Mr Vegas Throws $50,000US To Challenge Bounty Killer, Bounty Killer responds on Twitter! Mr Vegas puts up a 50,000 Cash pot if Bounty Killer accepts his challenge. Do you think the cross angry DJ will step up to the challenge? 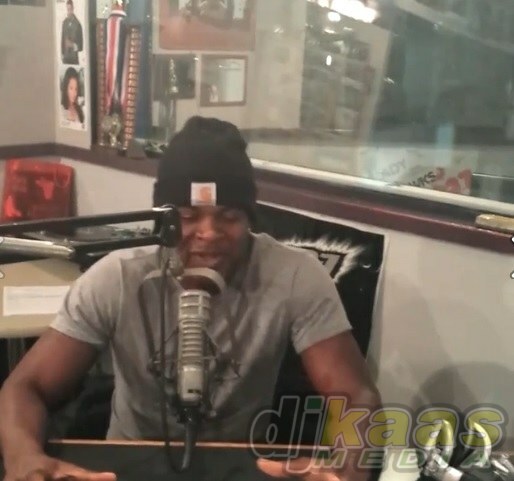 Never one to hold back, Mr Vegas tells Diva Nikki Z his real thoughts about selector Tony Matterhorns wig & who he really wants to battle in the ring. Post by Dj Kaas | RaggaKaas. 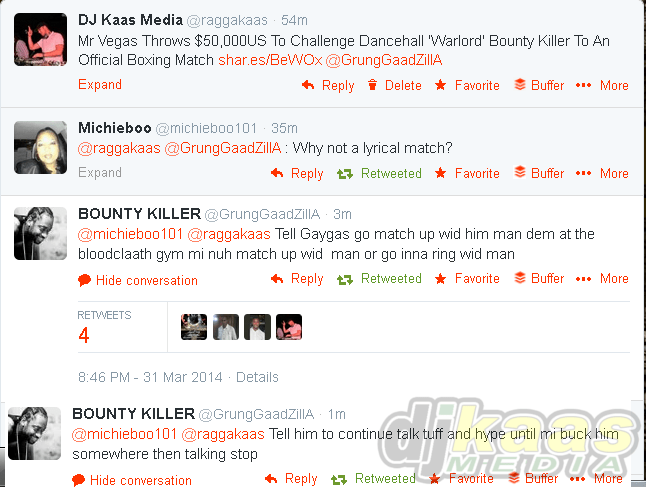 Bounty Killer responds to Mr Vegas boxing match challenge on Twitter!